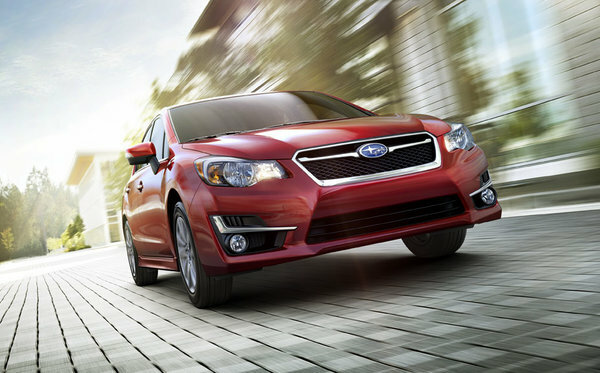 All-wheel drive is standard, but that doesn’t mean the 2016 Subaru Impreza is not competitively priced. Winters in Edmonton can be tough. As a matter of fact, winters anywhere in Canada can be harsh, and that’s why Subaru is so popular among Canadian buyers thanks to Symmetrical all-wheel drive. This is a feature that is standard on the 2016 Subaru Impreza, making it the only vehicle in its class to be offered with AWD at no extra cost. Yes, all-wheel drive is standard, but that doesn’t mean the 2016 Subaru Impreza is not competitively priced. 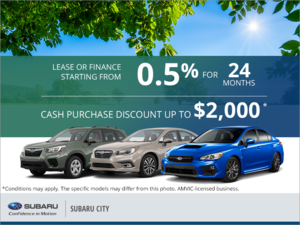 Starting at less than $ 20,000 , the Impreza also features a fuel-efficient engine, which means, unlike previously believed, the added benefit of all-wheel drive doesn’t come at the expense of increased fuel economy. The Impreza’s 2.0-liter four-cylinder engine delivers 148 horsepower and 145 lb-ft of torque, yet its posted fuel economy ratings are below the segment average when buyers opt for a continuously variable automatic transmission (CVT). A five-speed manual is also offered. The great thing about the 2016 Subaru Impreza is that it offers a host of versions that buyers can choose from. If you need more room for example, you can turn to the five-door version, which features more than 600 liters of available cargo space with all the seats in place. Both the hatchback and sedan versions feature an improved interior with plenty of storage space and room for your knees, shoulders and elbows. Redesigned recently, the 2016 Subaru Impreza also boasts a more refined interior that can include, depending on the version, heated seats, dual-zone climate, leather seats, a sunroof, a navigation system, SiriusXM radio, and a lot more. To learn more about the 2016 Subaru Impreza and its amazing all-weather capability, contact us today at Subaru City!